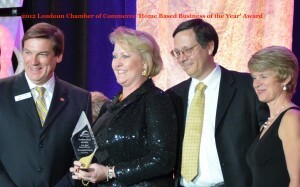 Olivera Music Entertainment joined the Loudoun Chamber in March of 1990, and has seen the population in Loudoun County expand from 86,000 residents that year to over 340,000 today. Many thanks to everyone for all of your support! 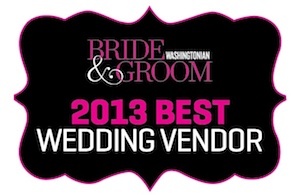 Olivera Music Entertainment has once again received the prestigious ‘Best Wedding Vendor’ Award for 2013 from the Washingtonian Bride & Groom Magazine, having received this award every year since 1998. Washingtonian Bride & Groom Magazine surveys DC area vendors in the wedding industry, along with recently married couples, to gain input into those deserving to be recognized. Voting is by category, and includes such categories as bridal attire, cakes and desserts, caterers, florists, hair stylists, hotels, invitations & calligraphy, jewelers, lighting, limos and transportation, lingerie, makeup artists, music & entertainment, party rentals, photographers, registries, tailors, videographers, and wedding planners. Olivera Music Entertainment, now in their 27th year as a premier DC area music entertainment agency, has extensive experience with weddings. From a small, intimate gathering to a large celebration, we will assist you in finding the perfect entertainment for your special day. Remember…..Music is Power….Music is the Life of a Celebration! Olivera Music Entertainment, once again has received the prestigious Wedding Wire ‘Bride’s Choice Award’ for Wedding Music Entertainment for 2013! As the only full-service music entertainment agency in Loudoun County, we offer a complete selection of music entertainment, including soloists, small combos, dance bands, and specialty groups, which offer classical, jazz, and contemporary music styles. Whatever vision you have for your special day, we can make it happen! Our staff assists you in all aspects of your wedding music entertainment planning process to make sure your music selections match your style. What is your schedule of events? Will there be a first dance? Will there be a father/daughter dance? Will there be a bouquet and garter toss? Who are your bridesmaids and groomsmen? What are their names and how do you pronounce their names? When the music entertainment for the dance, whether a band or DJ, is setting up, will your guests be in the same room? If so, we can arrange to have them set-up earlier so they do not disturb the celebration. Look through our blog for the Top Ten Planning Tips for successful music entertainment production. We wish you the best for your celebration! Remember……Music is Power…..Music is the Life of a Celebration! 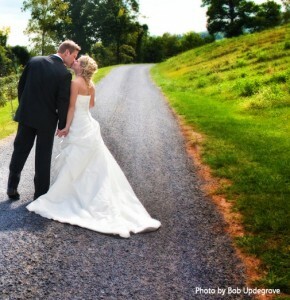 Loudoun wedding music at Raspberry Plain was the elegant setting for a ceremony and reception. 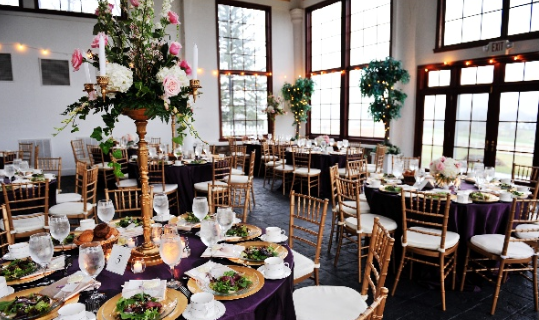 Located in Leesburg, VA, Raspberry Plain offers an array of outdoor settings as well as a large indoor facility with windows on three sides, capturing the surrounding countryside. An outdoor ceremony amongst picturesque landscaping captured true romance for this couple. The ‘Just the Two of Us‘ Duo, with guitar and saxophone/flute, provided the wedding ceremony music, personalized to the desires of the bride and groom. The ‘Rendezvous‘ 7-piece variety band offered background dinner music followed by dance music which kept the guests dancing the night away! Special song requests throughout the ceremony and reception personalized this special day for this beautiful couple. Their guests enjoyed endless hours of celebration. Memorable moments were captured by Saskia Paulussen of Saski Paulussen Photography. Read a review on Wedding Wire regarding this spectacular event!